Today, I have a nice end of summer look to share with you. 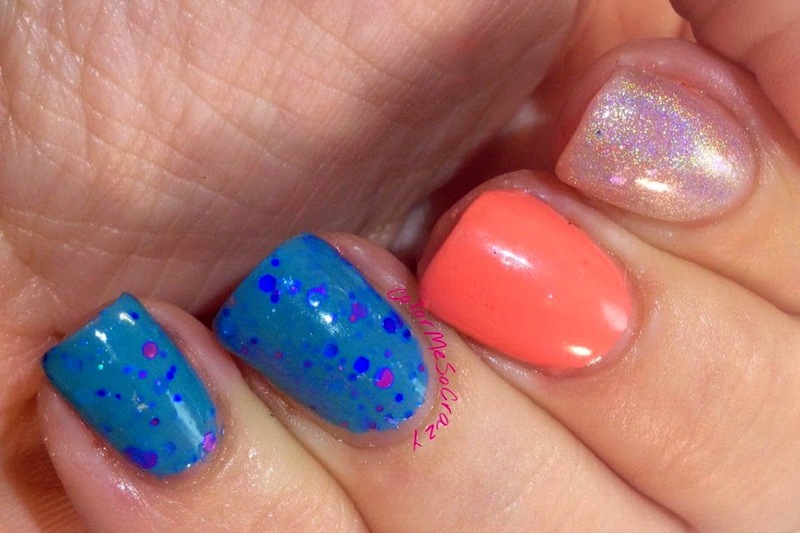 This is a cute skittlette and some of my favorite color combinations. 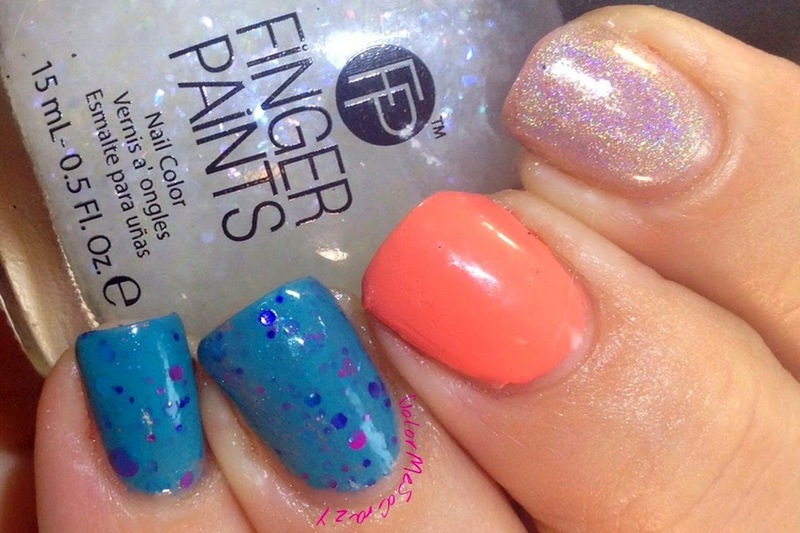 I recently won these colors in in a giveaway and I just could not wait to get them all together. I saw them all in the bottles separately and knew they would be great together. This is also my first time using Karma's Kiss so I was super excited to get these on. 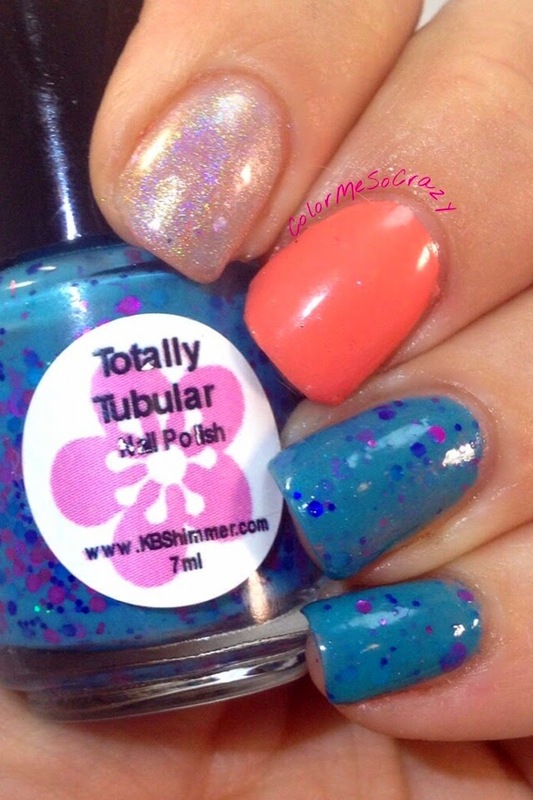 Totally Tubular is a great glitter polish from KBShimmer. 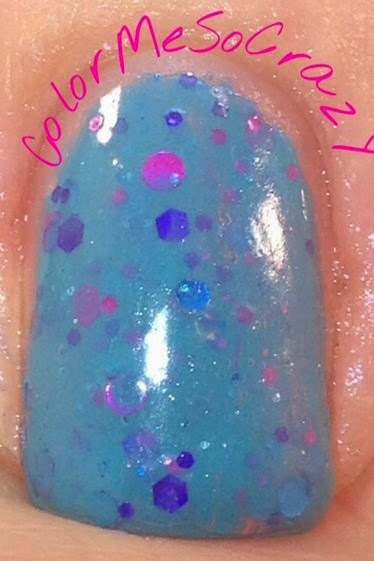 This is a teal blue polish with fuchsia large and small circles, blue hexes, aqua circles and a whole lot of other glitter packed in there. I love this color. 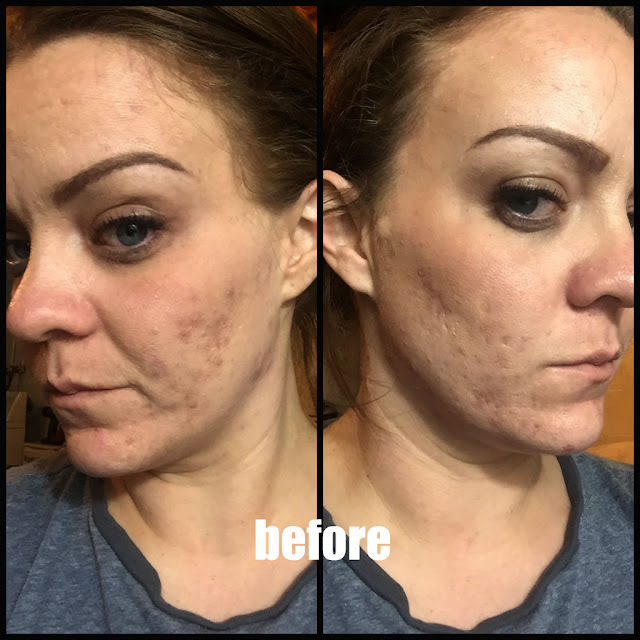 It was so nice to apply and the glitter spread so nicely. Sinful Colors Hazard was surprisingly nice. Surprisingly because hazard would remind me of a blindingly bright orange color and this is not. It is a nice smooth, beautiful coral color. I really, really like this color. 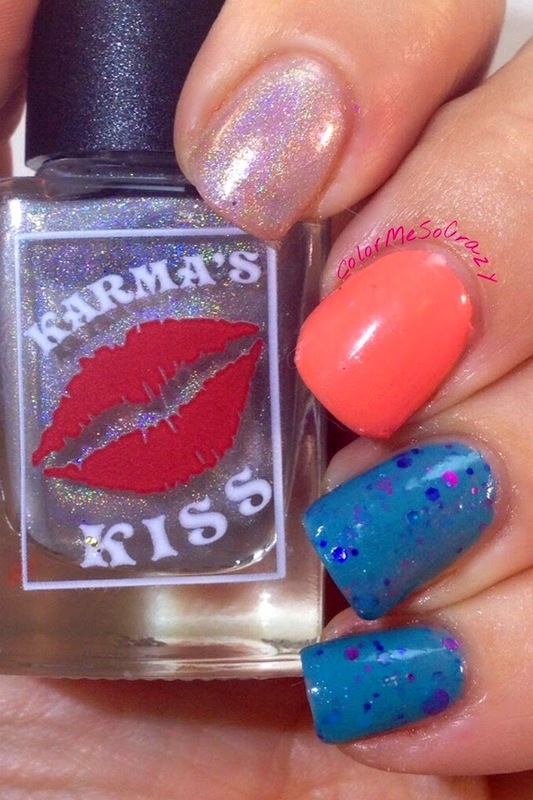 Finally, Karma's Kiss in Tip Top is a linear and scattered holographic top coat. I used it on it's own to show you it's true talent. 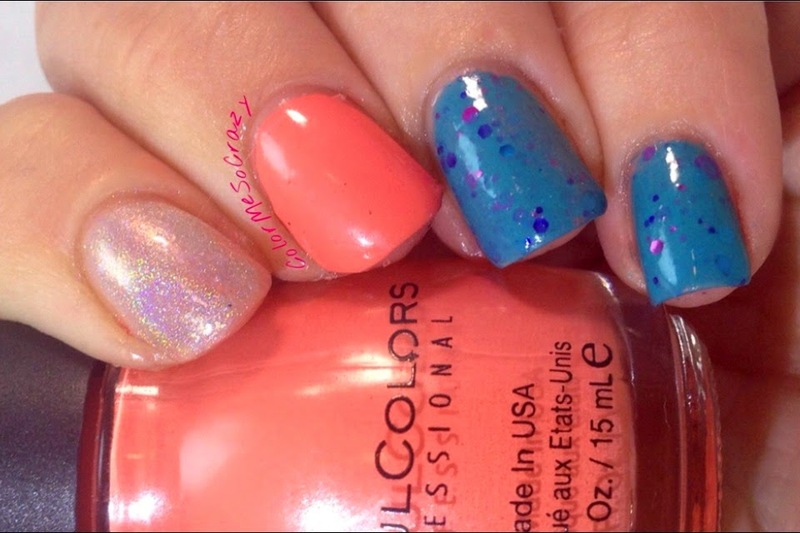 This is a really pretty top coat and a really pretty polish. 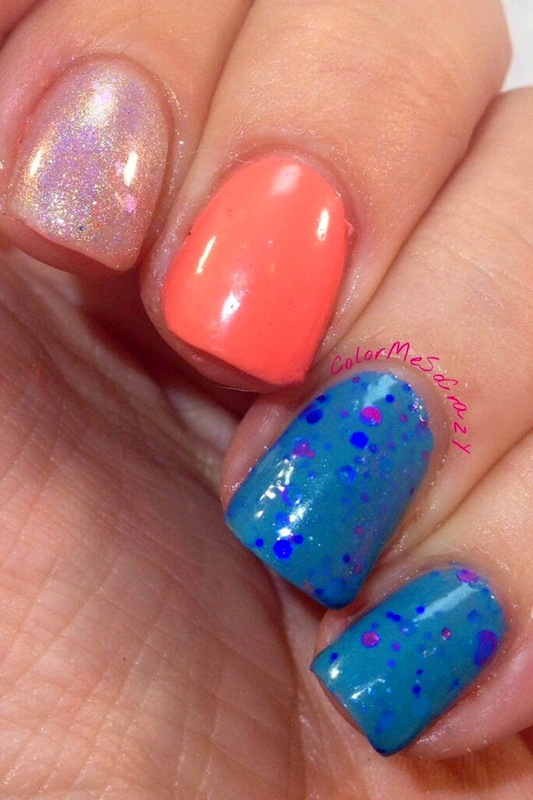 It applied nicely and only took 3 coats to achieve this look. I am sad to say goodbye to summer, but a look like this definitely helps. What are your transitions looks?